Like many ladies do, I own a lot of cosmetic and skin care products. My beauty routine is important to me and one that I routinely partake in every morning and night. It's mandatory to take care of your skin well as you only have one face. Why not keep it looking its best as long as possible? I frequently like to try new products and find new favorites that provide me with the results I'm looking for. Good Earth Beauty is a natural and organic skincare paradise that anyone can enjoy. How about delighting your skin with lotions, creams, perfumes, bath and body products and even hair and nail care items? There are also products for men and children to keep them looking their best. Each product is designed to make you happy and give you the results you want. 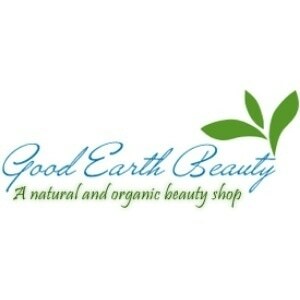 Whatever product you could possibly be looking for is available at Good Earth Beauty. Keep the brand in mind for gifts for birthdays or any other occasion. It's okay to spoil yourself too! Years ago, I was given a beauty tip that one product that women should always use is a good moisturizer. When you keep your skin soft and supple, it makes all the difference. This tip has always stuck with me and I always tell others. If you're looking for a moisturizer product to add to your beauty regimen, I have the perfect one for you. It's time to pamper your skin with this moisturizing all-purpose lotion. This luscious lotion absorbs right into the skin with a non-greasy feel and provides the ultimate moisturization and hydration for your skin. Who can resist the fabulous rose and green tea scent either? This moisturizer will make your skin look like a million bucks which is all you could ask for. Keep a jar in your bathroom for handy use, you'll want to use it all the time. My skin is dry from dehydration. I would like to try this, in hopes that will help. I do need a good moisturizer. My aging skin is very dry and sensitive. I'm always looking for a good moisturizer. So far I have not found one that I like enough to buy a second time. I'd love to try this one! I really want to try it because its natural and organic. I would really like to try this because I am looking for a good moisturizer. My skin is changing and what I was using doesn't work well anymore. I would love to win this because I love moisturizers but I sometimes have a hard time finding ones that aren't greasy and feel good on my skin! I read about the Natural Ingredients, they sound awesome,I really like the idea that its non-greasy,that would be a plus for me! I would love to win this! I want to try it because I am constantly on the lookout for a moisturizer that really helps me skin to not be dry and itchy! This one looks fabulous and i LOVE the scent of green tea! I would love to win because I have very dry skin and this sounds like it would help keep it moisturized. I love trying new products and my face could use a little pampering! I would like to win the Rose and Green Tea Moisturizer because it sounds lovely. I like trying new moisturizers and I this sounds like a really good one! This sounds really nice. I love organic beauty products! I would love to win this product mainly because I feel like my dry, cracked skin could really benefit from it! I would love to win this because I'm in need of a good moisturizer, especially one that is natural. I've been slowly changing my products to healthy, no toxic, organic products. This goes along with changing my diet. I've switched my deodorant, and perfume, but I need to change my skin care routine. Plus, this looks great! I would like to win this because I need a good moisturizer. I love using organic beauty products. i recently became vegan and i would love to start using natural products on my body too. i want to keep the earth clean for a long time. I would love to win this because I think my skin would thank me! I love organic skincare and my skin has recently become very dry and dull. This would be perfect for me. I am always looking for effective products that are safer for my family! It's so hard to find a great moisturizer that doesn't feel greasy! I'd love to try this for my dry skin! I like using skin care with natural ingredients. I'd like to win this because I love trying new beauty products.